El Barroco is a restaurant on one of the streets leading down to Cadaqués's promenade. It has a terrace. The whole place is highly decorated with trinkets, tables, chairs and all kinds of utensils and objects that are on sale. The owner is very attentive, like most Lebanese people. 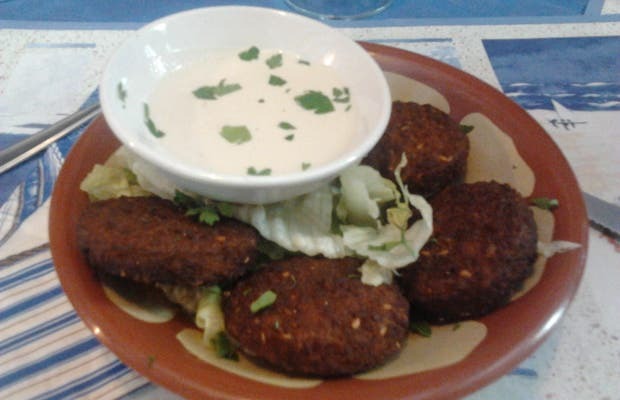 There are several menus available, the price is usually between 21-26 euros, and you get your choice of mezes (starters) and a first dish. Everything's delicious. Dining here is advisable whenever you want to try a different kind of place, because you won't find anywhere better on the Catalan coast.